Results: do you like the Moto Z2 Force Edition? 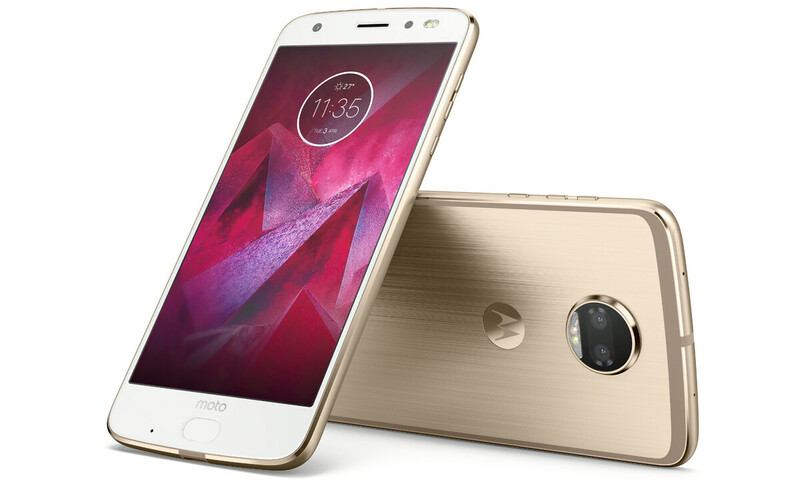 A couple of days ago, Motorola revealed its 2017 flagship — the Moto Z2 Force Edition. Yeah, it's just one this time around, instead of being a couple like last year's Moto Z and Moto Z Force. What does it have? A Snapdragon 835, 4 GB of RAM, a dual camera... then a 2,730 mAh battery and no headphone jack. To the dismay of a lot of fans, Motorola went with the “thin phone” concept and sacrificed battery capacity and headphone jack. But surely that's curable via some of the many Moto Mods, which come with a small battery themselves, right? The Moto Z2 Force Edition still has a lot of things that are cool — it's slim and shatter-proof, it looks great, and rocks a near-stock Android with Moto's few extra touch-ups on top. The camera looks promising, the selfie flash is dual-tone, and the newly announced Moto Mods are great additions to the accessory collection. Moto Z2 Force Edition: yay or nay? Can live without headphone jack, But battery should've been 3.5k atleast ! They killed this phone by lowered the battery and upping the price! The poll results reflect my opinion also. I think the companies are going crazy with that slimmer and slimmer design. Design over features, battery life and functionality. Going deeper. I don't know who at Motorola/Lenovo though one would buy a flagship device with 2730 mAh battery? Have they been living under a rock? Don't they know people like long lasting devices? Have they forgot their own last year Force which had 3500 mAh battery? This is really crazy. And I don't want to use Moto Mods because I'm using a case that protects the phone. Another crazy thing is that "shattershield" display - look at YouTube videos and see how nicely and easily it scratches. If they want to ship a phone with it - OK, but give us also a "regular" model without it. I really wanted to buy this phone but small battery and lack of OIS in the camera are 2 reasons why I'm not buying it. Motorola - try harder next year. I don't know much about the Z2, but I ABSOLUTELY HATE HATE HATE the Z-Droid. I have used smart-phones since I-phone 1 and often dropped my phone but never damaged a screen, until the Z-Droid which is now shattered in three places. (and scratched) Battery life is terrible, (but at least the "Turbo Charge" is fast -- but that means I have to carry the turbo-charger every day -- wherever I go). Even worse, I HATE the operation of it. Much less user-friendly and functional than my Note 2 I was using before it. Can't wait for the Note 8.